All I can say is, I love books! I would love to have them! Thank you! Thank you for the chance to win the Classics. Its a great prize. I don't know where you get these books, but there are some absolute classics among them! Maybe I will have luck in this New Year! Thank you for compiling such a neat giveaway. Want! This is an awesome collection. Oh, yes, please! They would be a wonderful addition to the titles I got for Christmas! 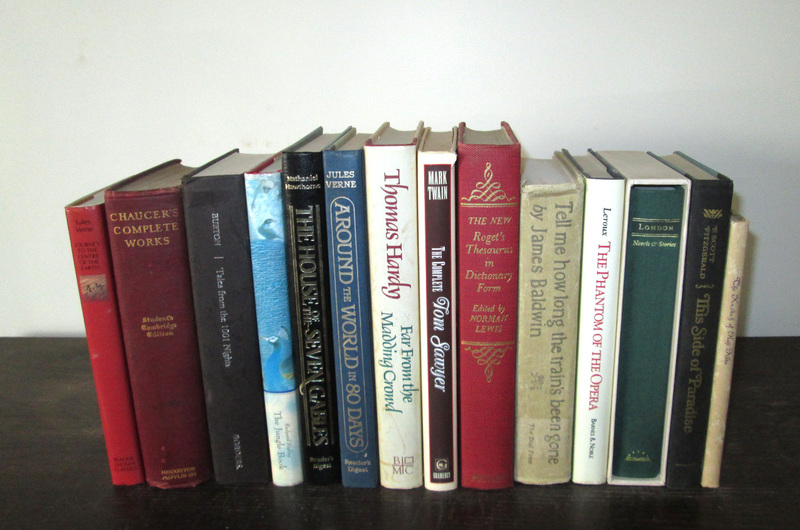 These include some great picks, especially, for me, THE COMPLETE WORKS OF CHAUCER. As a poor college student, I sold my textbooks, including Chaucer's, after each semester. But I have regretted selling my textbooks now as an adult. Also, it has been my plan, when I get my new cat, if it's a boy, to name him Chaucer. So that book belongs in my bookcase, don't you think? What a great collection. Enter me please.